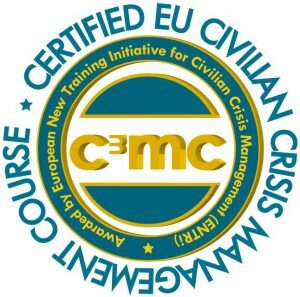 The Egmont Institute has been a member of the ENTRi consortium (Europe’s New Training Initiative for Civilian Crisis Management) since its creation in 2011 and has certified with ENTRi its Basic Core Course on Civilian Crisis Management, the “Belgian Generic Training”, run since 2009 in partnership with the Belgian Ministry of Foreign Affairs, the Ministry of Justice and the Federal Police. Egmont firmly believes in ENTRi’s project fostering quality training and sharing of expertise among European training institutes and for the public at large. This is done through the design and diffusion of learning packages and material that are accessible for free and through the certification process of trainings. With the inception of its third project phase at the beginning of June 2016, ENTRi continues to broaden its scope of activities geared towards improving human security in crisis-prone areas where crisis management missions are deployed. The project activities include the harmonisation and delivery of training for civilian personnel in international crisis management missions and aims at better enabling staff in EU, UN, AU and other crisis management and stabilisation-type missions („crisis management missions“) to work in an efficient, effective and sustainable manner in order to achieve their missions‘ mandates. ENTRi offers a range of very concrete and practical tools to make sure the learning and training process in Civilian Crisis Management is maintained and refreshed. The material is well suitable for experts, trainers or potential candidates to missions who followed for example of BGT Basic Core Course. A key practical guide for Civilian Experts Working in Crisis Management Missions, designed to accompany professionals on their way through crisis management missions and provides a general overview of the institutional landscape of crisis management as well as relevant concepts. It contains practical information on a variety of issues, from dealing with health and safety challenges to technical information on radio operation, map reading, and four-wheel driving. Have a look at: http://www.entriforccm.eu/resources/handbook.html. Available now: The 4th Edition of the operational handbook IN CONTROL. A big thank you goes out to all the dedicated contributors, experts in their fields. New features: Health and safety section, incl. cyber security, migration, role of policing, new management structures within the EEAS/CSDP and the UN Department of Peace Operations, etc. Packages – including Training of Trainer Packages in English, French and Portuguese to provide a sustainable and free resource to trainers and subject matter experts worldwide. Quizzes – very concrete exercises to make sure you are ready for deployment, or just to refresh your knowledge. Deployment Checklist – that you can send to yourself once completed or even partially completed. The Egmont Institute organised together with CMC Finland organised a Specialisation course on “Transition strategies and sustainability as part of the Comprehensive Approach” in the framework of ENTRi, a project sponsored by the EU. The 5-day training course focused on the capacity of crisis responses from major actors like the EU and the UN, more specifically in their role as global and also comprehensive security provider. A specific focus will be put on the Sahel region. An analysis will be made of the integration of the security aspects mirrored by crisis management missions as part of an overall comprehensive approach. More info. The Egmont Institute organised together with the Clingendael Academy the 3rd Pre-deployment training Sahel (for Mali & Niger) in the framework of ENTRi, a project sponsored by the EU. The 4-day training focused on the conflict and recent socio-political developments in Mali and Niger, the operations and instruments of the UN, EU, bilateral partners and NGOs as well as intercultural and communication skills. More info. The Clingendael Academy and the Egmont Institute organised the pre-deployment training Sahel (for Mali & Niger) in the framework of ENTRi, a project sponsored by the EU. The 4-day training focused on the conflict and recent socio-political developments in Mali and Niger, the operations and instruments of the UN, EU, bilateral partners and NGOs as well as intercultural and communication skills. More info. On request of the CPCC (Civilian Planning and Conduct Capability) of EEAS and in the framework of ENTRi, Egmont has taken the lead in designing and running an intensive 4-day pre-deployment training course, in cooperation with ZIF (Zentrum für Internationale Friedenseinsätze). It aimed at providing a preparatory orientation for personnel selected for the civilian crisis management missions in the Horn of Africa region. The course covered mission and country specific themes but also orientated on EU crisis management concepts and structures. More info. On request of the CPCC (Civilian Planning and Conduct Capability) of EEAS and in the framework of ENTRi, Egmont has taken the lead in designing and running an intensive 4-day pre-deployment training course for experts for the EU core team and other experts being deployed to the Sahel region, focusing on Niger. More info. Egmont has co-organised together with the ASPR (Austria) training institute, a specialization course on Child Protection in the field of CSDP and UN missions. It aimed at addressing the legal context as well as the issues linked to structural and direct violence concerning children. This EU course, delivered by trainers from both institutes, has been given to EU civilians that have either been nominated for a CSDP or UN mission by their Member States or already selected for a mission. More info. Egmont has contributed to the CRT course in Sweden to prepare the participants for possible rapid deployment to a crisis area. More info.